LASTING LEGACY: Tom and Scott Newlands restore a Celica their son and brother Jamie left after he lost his battle with cancer. A FATHER never expects to outlive their son, but for Tom Newlands this became his devastating reality. By the time he received news his eldest boy Jamie had cancer, he was going into palliative care shortly before his 43rd birthday. 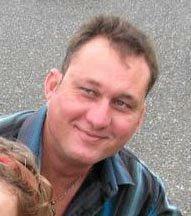 Just one week later Tom and his second-eldest, Scott, were forced to say their final farewell. Five years on and the pair spend most nights tinkering away in Scott's Mount Morgan garage, restoring Jamie's prized 1974 TA22 Toyota Celica. 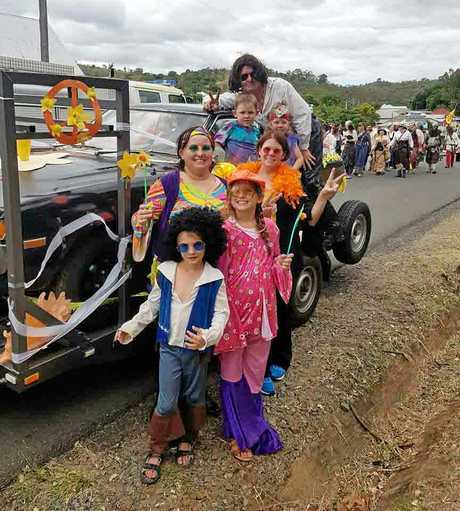 The father-son duo are fixing up the classic car to honour Jamie's memory, and all those they have lost to the devastating disease including grandmother, Dorothy, just two years ago. 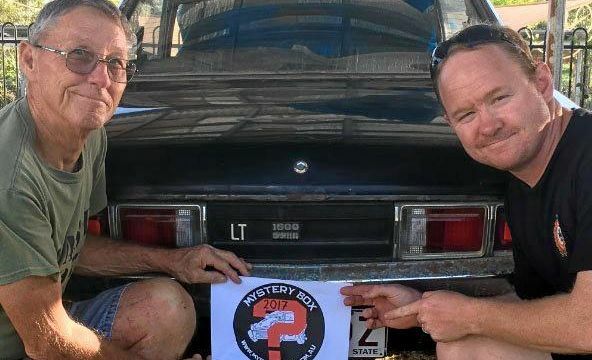 Their team, Rusty Bumpers, will cruise from Dubbo through a 2500km unknown route in the Mystery Box Rally to raise funds for the Cancer Council. The teams have no idea the roads that lay ahead, and only learn of their destination each morning. Hastings Deering mechanic Scott said his brother was always a bit of a car enthusiast, and given his own expertise as a mechanic the November mission seemed a fitting legacy. "Basically Jamie, he lived up north towards Mission Beach, so we didn't get to see him quite as often as we would like," Scott said. "And basically when my father and I found out he had cancer, it had quite aggressively taken hold of him, and he was actually getting put into palliative care when we found out. "And then we may have got to see him for a week and then unfortunately he passed away. "Dad was quite shocked by the whole thing, obviously it's not good losing a son... you always expect to die first before your children, not the other way around." The Celica in the Golden Mount Festival at Mount Morgan. Scott said since he inherited the Celica, it lay dormant for about four years before the fitting tribute struck him. "So basically I had the idea (to enter the rally), and dad was all on board with it," he said. "Obviously (Jamie's death) affected us, we are slightly getting over it, but obviously the healing process has taken awhile and we found this a way to sort of deal with it as well; to honour Jamie's memory and other people we have known. "And it should bring my father and I closer together." 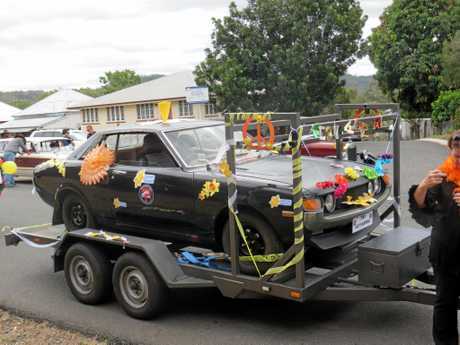 The Celica debuted in the Golden Mount Festival in Mount Morgan recently, and will continue to feature in the Newlands' upcoming fundraising events. "It has also been a full family effort with my wife Shari, mother Irene and sister Shannon organising and running most of our fundraising events so far. "Even my children and niece and nephew have been involved." Scott said the set of wheels was not far off being roadworthy, quite a feat considering its own battles over the decades. "Jamie actually did this car up, for his partner originally and it basically sat for a while, being up in Mission Beach, the car actually went through a couple of the cyclones up there; Cyclone Larry, Yasi, there was another one," he said. 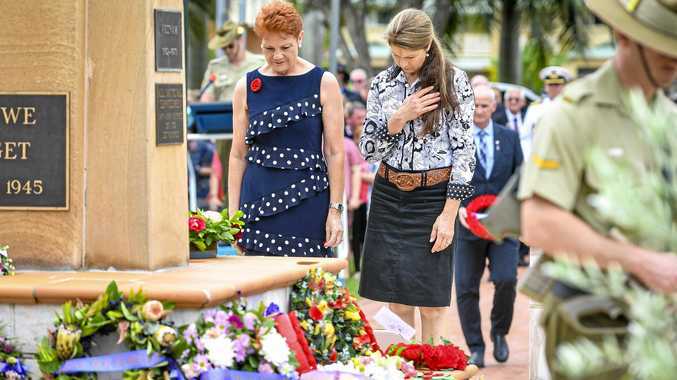 "And also when I got it it was sitting out under a shelter during Cyclone Marcia. Unfortunately the rust is starting to get into it a little bit but structurally it is sound, so it's fighting its own battle with rust/cancer, so it's also just seems fitting to use the car for that cause." The Rusty Bumpers aim to raise $5000 for the Cancer Council, but still need nearly $4000 to reach their goal. Mystery Box Rally from November raises funds for the Cancer Council. The car will feature at the Classics by the Coast event on May 28, and Tom and Scott will hold sausage sizzles at Office Works on June 3 and 10. They will also be at the Luna Markets in Queens Park, Glenmore Rd on June 9. They will hold a number of fundraisers through the year, with information available on their Facebook page @rustybumpers.